These attractive small ornamental fairies are 5cm high. 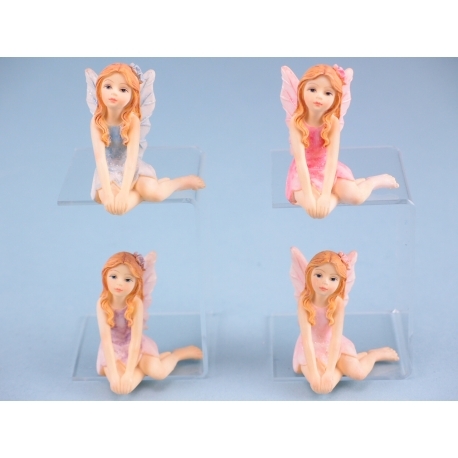 The young fairies who appear in a kneeling pose, come in four assorted colours of pale pink, deep pink, lilac and blue. They are made of polyresin and packed in an assorted box of 12. These items are not toys and are not suitable for young children.